Aside building greatly advanced successful products one of its core competencies is to build hypes for its products. 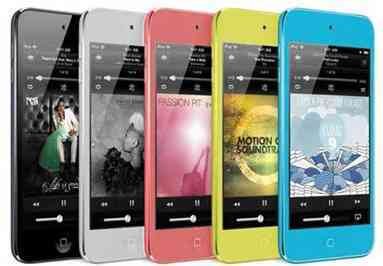 It was rumored that the 6th generation iPod touch will be launched in September of the previous year though there was no released official date for the launch. Released in September of 2014, iPhones 6 and 6 plus, it was speculated that the iPhone 6 plus was being used to test the market before upgrade of the iPod touch. With profit margin and the productivity thinning out for the iPad production line, the previous niche of the touch screen mobile device without a calling service is gradually growing obsolete thus having a negative impact on the iPod which is in the same production line. All the same if there’s an iPod Touch 6 generation getting ready for a showcase, it’ll need to be able to stand the stiff competition presented by iPhone 6 with regards to features and performance. All that stands currently are rumors and speculations based on hints but if there’s an iPod Touch 6 in the pipeline, it sure will benefit from the same hardware features as the iPhone 6. Price is the main key factor that persuades customers to buy the iPod. It’s relatively cheaper compared to when it was originally launched and should there be a 6th generation iPod, with the same features as that of the iPhone 6 definitely there’ll be a market fraction to cater for its sale. What Apple’s customers are currently waiting for is a firmly communicated date for a launch of an iPod Touch 6 if there’s any as they’ve been anticipating. Expectations and hopes of its customers were dashed when Apple’s February 24 event was cancelled for this year; a report according to 9 to 5Mac. Customers were hopeful that the rumored puzzle will be solved during the meeting but unfortunately they may still need to hold onto their expectations until there’s a firm communication from Apple Inc.
Everybody seems to wait for an announcement during their March Mobile World Congress in Barcelona, Spain. Tim Cook, the CEO of Apple has however confirmed that the Apple Watch will be launched in April. This means Apple’s current focus may not be on producing an iPod Touch 6 any moment or probably it has both in focus. In each case there will be a launch in the month of March this year.